However the relationship between Patriots head coach Bill Belichick and quarterback Tom Brady stands now, it’s clear that the former still takes issue with the latter’s body coach and business partner Alex Guerrero. 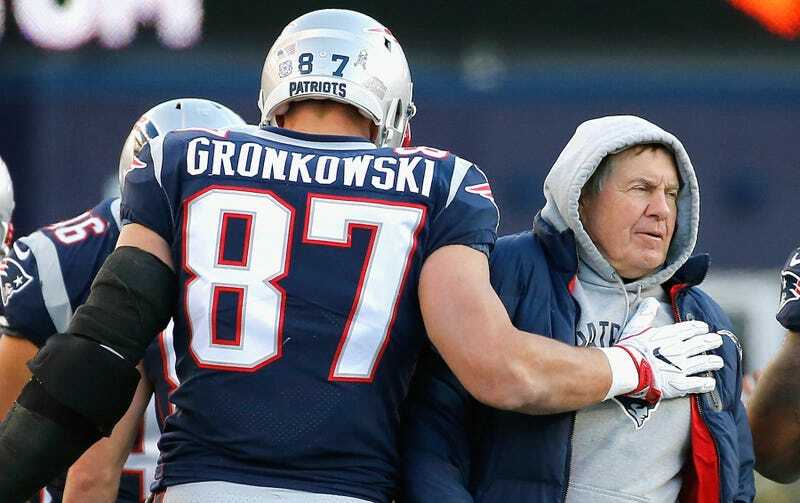 Belichick last season reportedly banned Guerrero from the team’s sidelines and revoked his access, and a new report suggests the head coach wanted tight end and upside-down triangle Rob Gronkowski to stay far away from Guerrero. There are a lot of rising tensions to keep track of as the Patriots prepare on their quest for a third straight Super Bowl appearance: Belichick against Brady, Belichick against Kraft, almost everyone against Guerrero, Gronk against the inescapable force of time. Should be a fun season!